Why have a desk plant? Simply put, it’s a great way to give yourself a little bit of zen. What if I’m not a plant person? Neither was I. I didn’t get the whole zen thing about it until I had my first career job, and sat at a desk for 8+ hours a day. One little desk plant turned into my own house full of them 15 yrs later. Now, my husband will ask me “Don’t you have enough of plants?! ?” This makes me chuckle, since I used to harass my Mom about the gazillion plants she had all over the house. Why did I put a plant on my desk in the first place? It was because of a comment my Dad made one time. He told me “you should put a lamp or a plant in here to make it more happy”. At the time my office resembled a cave, in the middle of the building, which didn’t see daylight. So, I had taken his advice and bought a little lamp, and small Pothos plant with a blue glass flower pot. 1. Seeing the natural green automatically made me feel better. Offices can be very drab. Just to see a little green color, out of the corner of my eye, other than the stark gray tones of the desk, walls, and white ceiling tiles, made me feel better. Just that little pop of green was emotionally calming. 2. It’s something pleasant to look at when I was having a stressful day. Seeing that happy little green plant in the corner of my desk, among the paperwork and folders was such a nice thing to see. It was something not work related, that was a living thing, among the inanimate objects on my desk. 3. It gave me small zen moments to take care of it. If you are like me, sometimes I just need a 5 minute break from looking at the computer screen or to stretch. Taking care of my little plant gave me that. I would roll over to it and just look at it every once and a while, to give my eyes a break. On watering days it was even better because it gave me a little “me” time to take care of it and not think about work for a moment. 4. It created an inviting space. 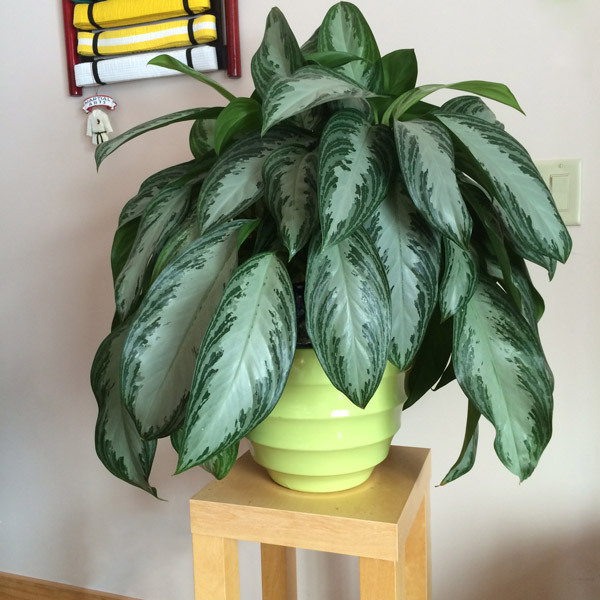 Later on, when I had larger plants, such as a Chinese Evergreen, I received so many compliments, from coworkers, who felt instantly relaxed in my lush green cube space. Even a small plant, such as a mini Jade, has something magical about it and creates an inviting space. 5. It was a subtle way to express myself. 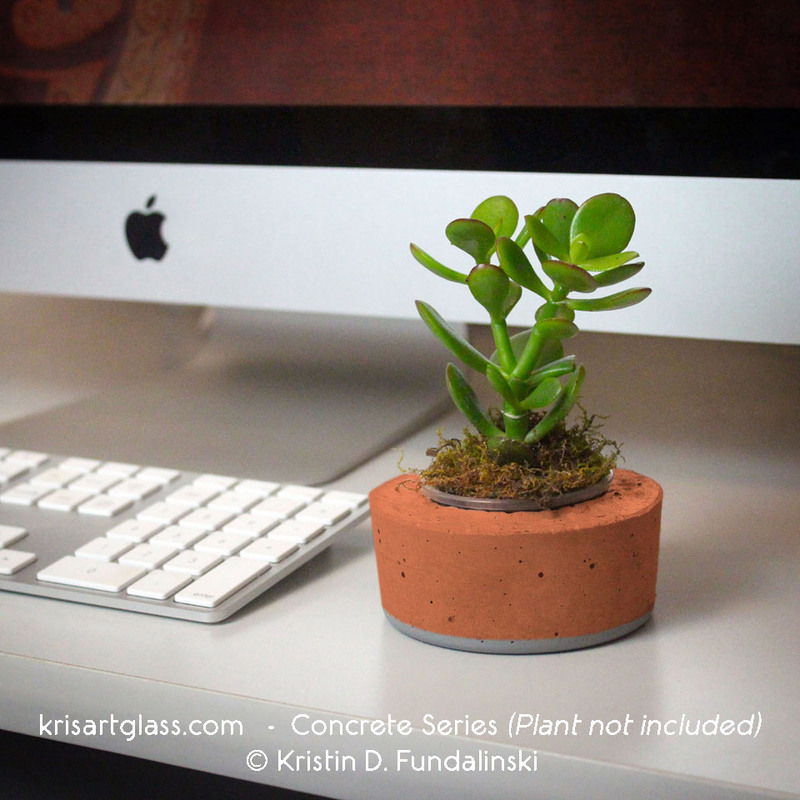 Depending on the plant and flower pot, you can really bring a little bit of home and make your desk/cube/office feel like it’s “your” space. Flower pots come in all different kinds these days, and you can use them to express your personality or even remind you of someone special. I learned that it’s not just the plant that makes me happier, it’s what it’s planted in as well. 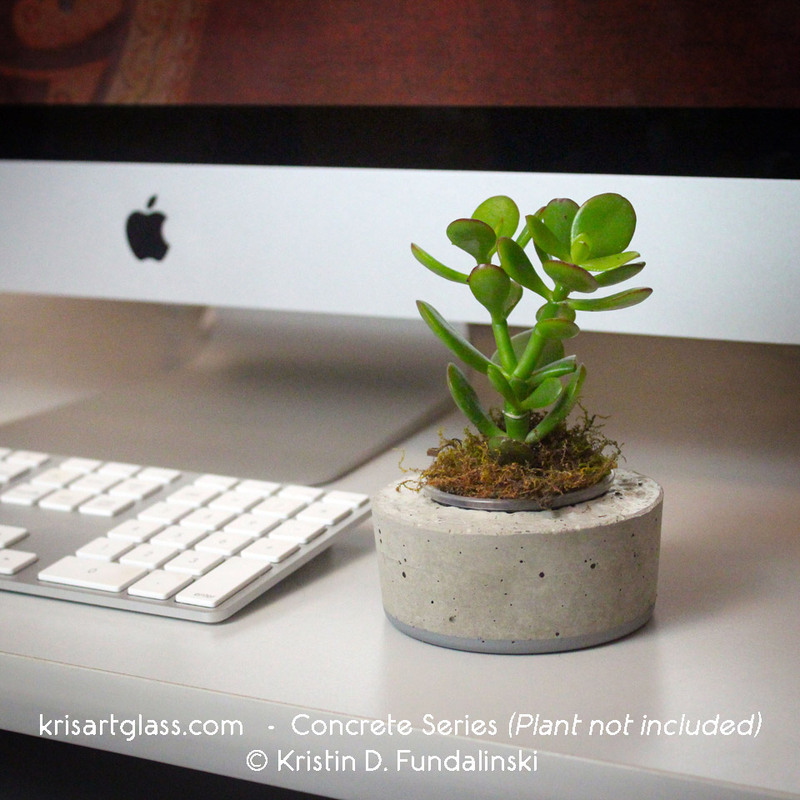 If is a unique pot or plant, it may even be a conversation starter, such as my Kris Art Glass “Concrete Planter”. Which are my favorites desk/office plants? Mini Jade Plant – You can’t get too much more zen than a mini Jade. They are often used as a Bonsai or in rock gardens. Being a succulent they have lush peddles and are fairly easy to care for. 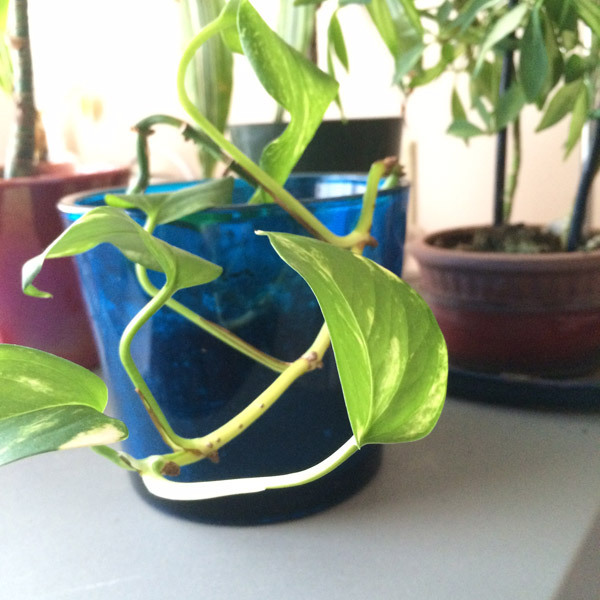 Pothos – Considering I used to work in a very dimly lit office I became fond of Pothos, which I have yet to kill. They are also, very easy to propagate as all you do is place a clipping in water and they’ll root. My very first one, which I mentioned earlier, I still have 15 years later in my home office. 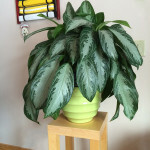 Chinese Evergreen, Silver Bay – This is more of an “office plant” than a desk plant as it grows to about 30”. If you want to take your office to the next level of greens, this gives a nice lush green space to the top of a filing cabinet. Watering – Most plants like to be watered once a week. I personally like to use a mister, especially in the winter months when the heat is blowing on them all the time. Mini Jades, for instance only need to be watered every 10-14 days and seem to like a light daily mist. They are pretty happy little guys. 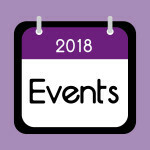 Use Moss or Pebble covering – Offices are dry places, with the heat or ac going. Without a moss covering my plants were drying out very quickly. Just like in your outdoor garden, it is best to cover the soil with a “mulch” to help keep it moist. I like to use sphagnum moss or pebbles for desk plants. 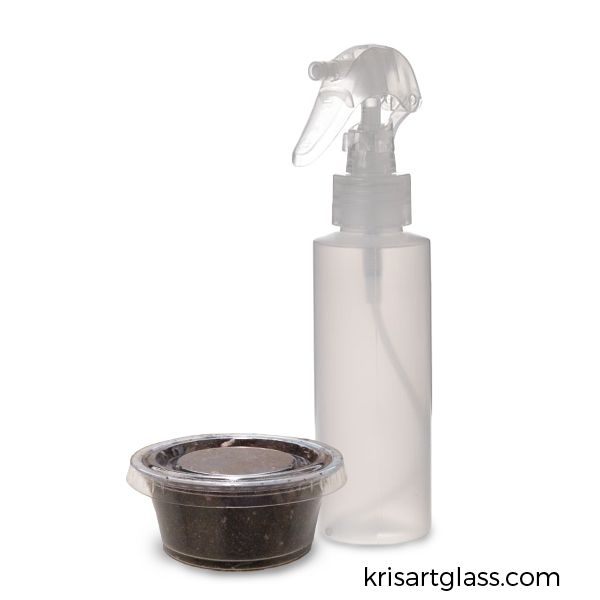 Misters – I like to use “natural trigger” spray misters. Your finger won’t get as tired, if misting a few plants, unlike top pump-style sprayers. Water Globe – If you have a larger plant I suggest a Water Globe. I love these things. You just fill it up, stick in in the pot and don’t have to think about it until it’s empty. Sometimes mine will go for weeks without needing to be filled. If you work full time, 40 hours, in a drab office, having a little friend on your desk, such as a mini Jade, is a great way to bring a little zen into your life at work. 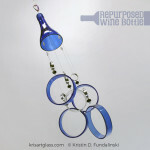 It will give you something nice to look at and make your space more inviting for your coworkers as much as for you. This entry was posted in Tips and tagged desk plant, houseplant, mini jade, office, palnter, zen space.